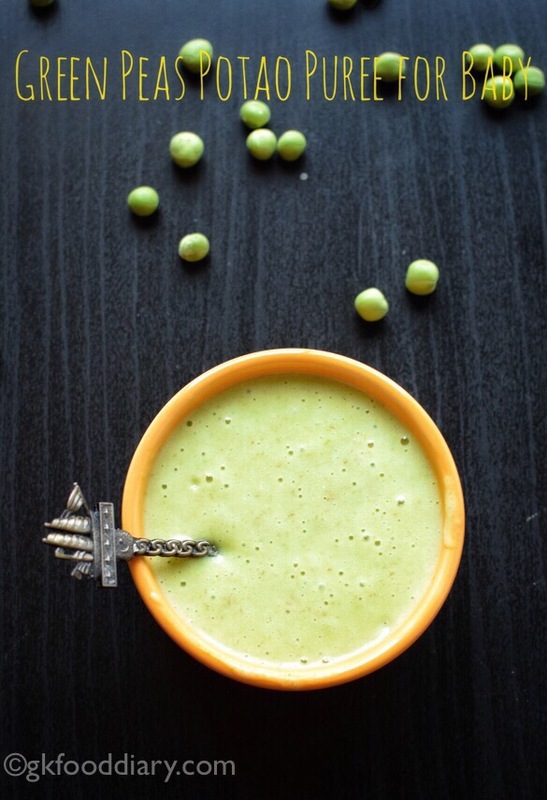 Green Peas Potato Puree – nutritious puree recipe for babies with green peas and Potato. Potato and green peas make an excellent combination. They are packed with all essential nutrients, minerals, and vitamins. 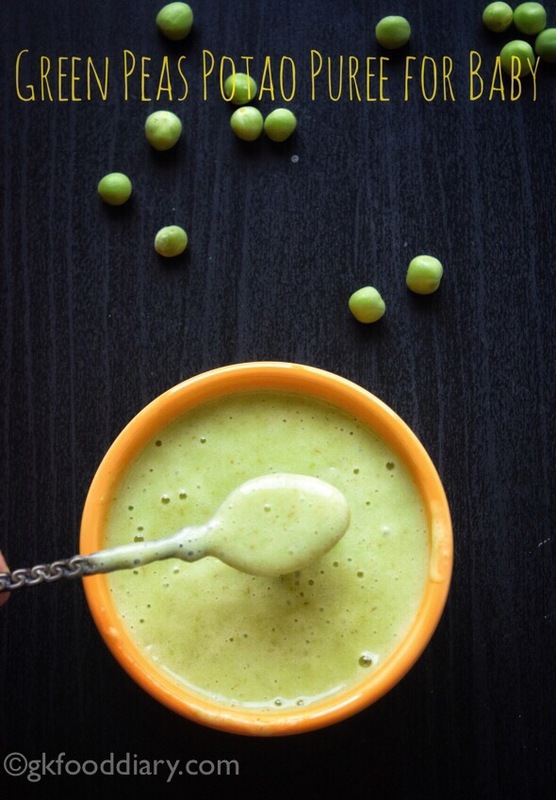 Aside from great nutrition, this green peas potato puree tastes so good that babies will love it for sure! 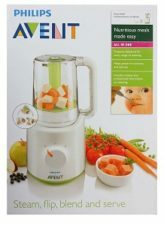 This green peas potato puree can be given to babies from 6-8 months after introducing green peas and potato separate. 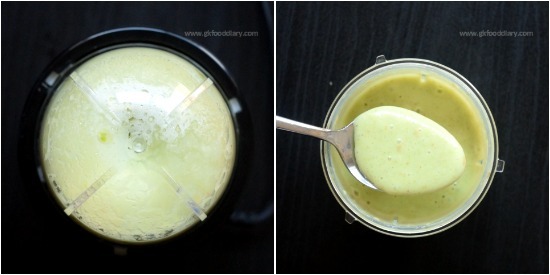 Here is how to make green peas potato puree recipe for babies. 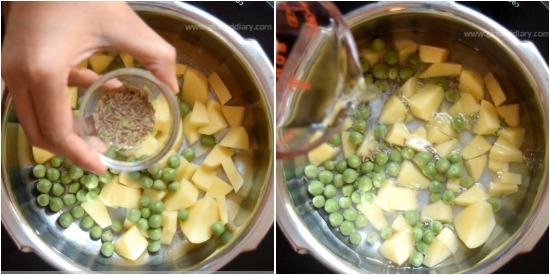 Wash the potato and peas in running water thoroughly. Peel the potato skin off with a peeler, cut them into cubes. Open the pods from fresh Peas and scrape out the peas from the pod. 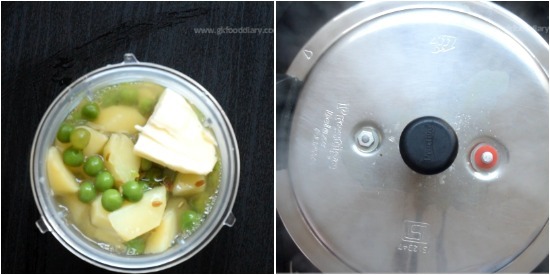 Transfer the cubed potatoes and peas to pressure cooker. Add ¼ tsp of cumin seeds and add ½ cup of water. Pressure cook it for two whistles in medium flame. Open the cooker once pressure released. Transfer it to a blender and add 1 tsp of butter. Grind it to a smooth paste. Add the water which is used for cooking to reach the desired consistency while grinding. You could also mash it with a potato masher instead of blending. 1. 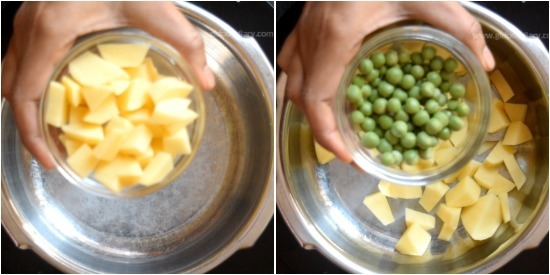 Wash the potato and peas in running water thoroughly. Peel the potato skin off with a peeler, cut them into cubes. 2. Add 1/4 tsp of cumin seeds and add 1/2 cup of water. 3. Pressure cook it for two whistles in medium flame. Open the cooker once pressure released. Transfer it to a blender and add 1 tsp of butter. 4. Grind it to a smooth paste. Add the water which is used for cooking to reach the desired consistency while grinding. You could also mash it with a potato masher instead of blending. 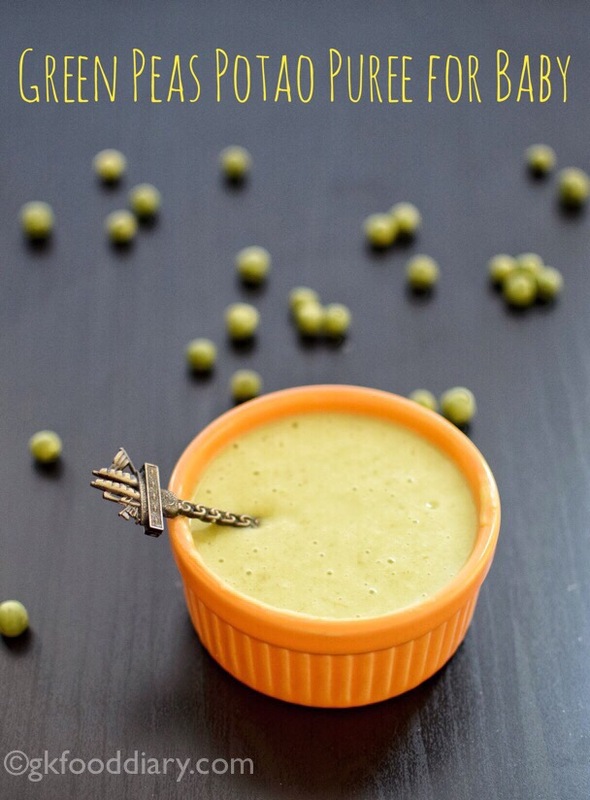 Peas Potato puree is ready! Adjust water consistency according to the thickness you prefer.